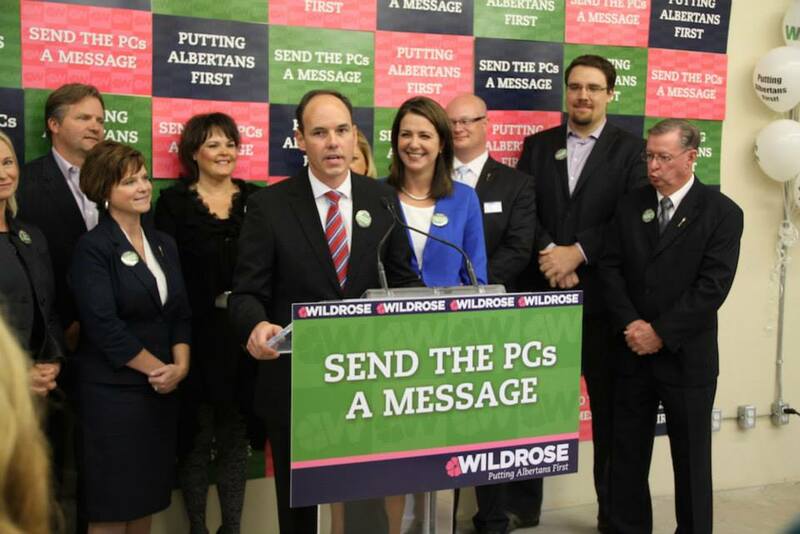 Edmonton-Whitemud Wildrose candidate Tim Grover, with Wildrose leader Danielle Smith, MLAs Kerry Towle, Jeff Wilson, Bruce Rowe and other nominated Wildrose candidates. The phrase “all politics is local” has been used many times to describe voters who might shy away from trying to restructure health care or environmental policy but are passionate about potholes or saving the park down their street. This phrase appears to be particularily reflective of the Edmonton-Whitemud by-election, where former Edmonton mayor and appointed Health Minister Stephen Mandel is campaigning for election to the Legislative Assembly as a Progressive Conservative candidate. 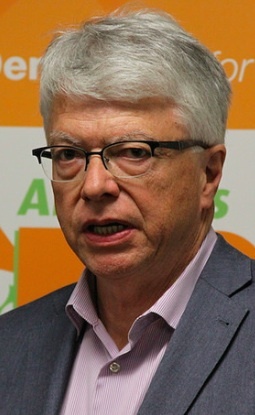 While his opponents from the New Democrat and Liberal parties – Dr. Bob Turner and Dr. Donna Wilson – have made health care issues the focus of their campaigns – including the aging and overcrowded Misericordia Hospital – Mr. Mandel’s Wildrose opponent is looking to other local wedge issues to attack the former mayor. 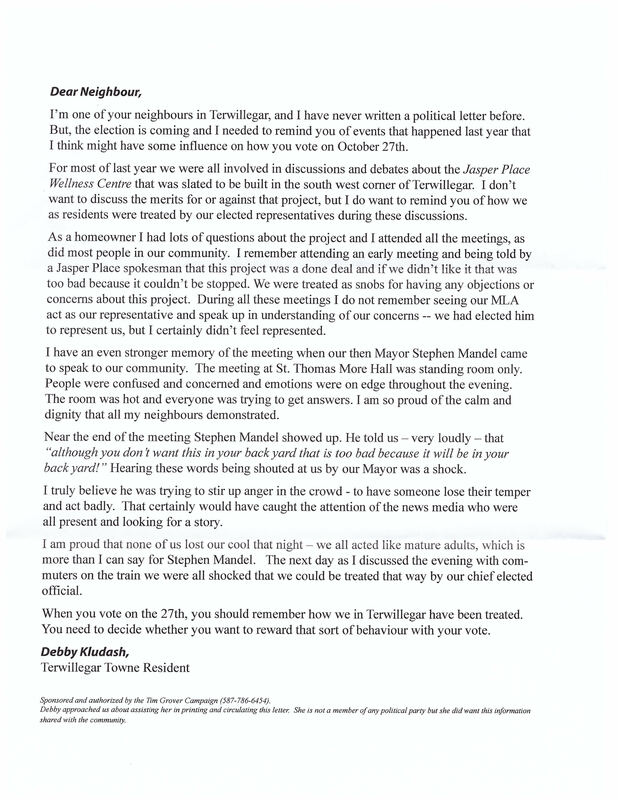 As volunteers canvass door-to-door in the constituency, the campaign of Wildrose candidate Tim Grover is circulating a letter from a local resident who opposed a controversial Terwilligar Housing First development. The letter alleges that at an August 2013 town-hall meeting about the proposed housing development, then-mayor Mr. Mandel loudly shouted at a group of residents about the project. While the tensions were high at the meeting, community members I have spoken with who attended the town hall meeting dispute the allegation that Mr. Mandel actually shouted at anyone at the meeting. As part of the City of Edmonton’s 10-Year Plan to End Homelessness, the development would have provided permanent supportive housing for formerly homeless Edmontonians. And because of the outcry of a small and vocal group of community members, the development was cancelled. While the proposal was not perfect, the debate around the Terwilligar Housing First development had all the hallmark characteristics of NIMBYism (“Not In My Backyard”). 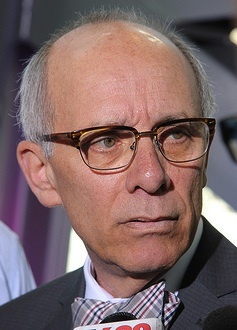 When he launched his campaign, Mr. Mandel said that he would run on his nine-year record as Mayor of Edmonton. And while he has a lot to be proud of, after three terms in office Mr. Mandel did collect a certain amount of political baggage. Because of this, it is not surprising that his political opponents would try to exploit these wedge issues during an election campaign. Last week, two articulate members from the Haddow neighbourhood spoke to the CBC about their opposition to the development of a surplus school site that Mr. Mandel supported. I am told that “Save Haddow Park” signs have now been spotted in Mr. Grover’s campaign office. 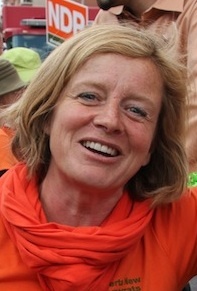 Fresh from her victory in the NDP leadership contest, Edmonton-Strathcona MLA Rachel Notley led an army of volunteers on to the streets of Edmonton-Whitemud. The NDP took a break from their weekend leadership convention to bus as many volunteers as possible from downtown’s Sutton Place Hotel to the southwest to help candidate Dr. Bob Turner. Voters in Edmonton-Whitemud, Calgary-Elbow, Calgary-Foothills and Calgary-West will vote on October 27, 2014. Advance Polls are: being held on October 22, 23, 24 and, 25, 2014. This entry was posted in Alberta Politics and tagged All politics is local, Bob Turner, Bruce Rowe, City of Edmonton’s 10-Year Plan to End Homelessness, Danielle Smith, Donna White, Edmonton-Strathcona, Edmonton-Whitemud by-election, Housing First, Jasper Place Health & Wellness Centre, Jeff Wilson, Kerry Towle, Misericordia Hospital, Rachel Notley, Stephen Mandel, Terwilligar Housing First, Tim Grover on October 20, 2014 by Dave Cournoyer.